This box contains 5 yellow FOOOTY packs. This multifunctional box can also be used as display on your counter. 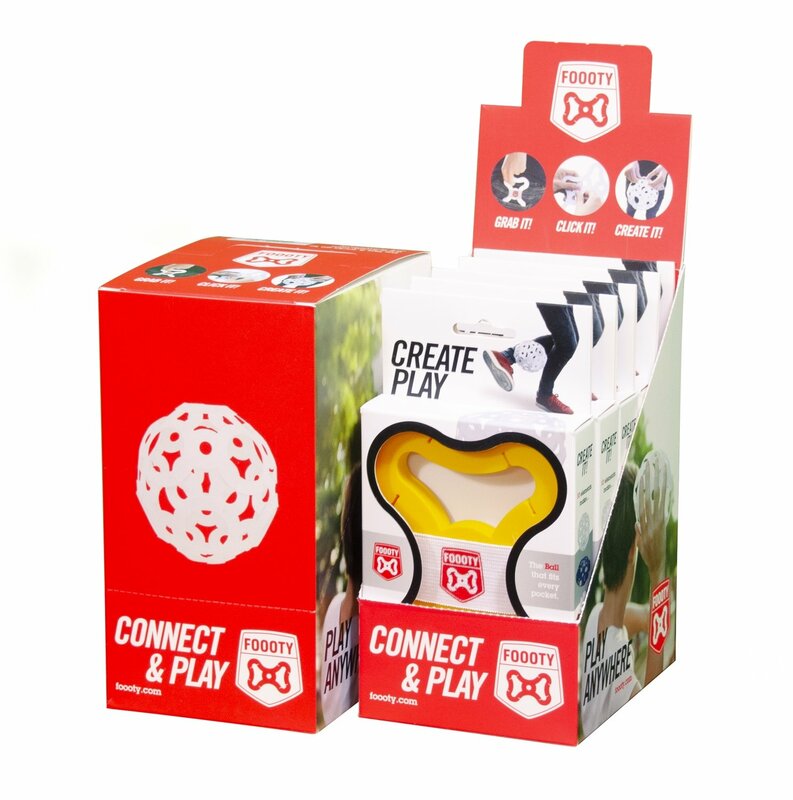 Every pack contains 10 YELLOW FOOOTY elements, to make all popular ball shapes to kick and throw around! And ... when you use your imagination you can create much more.